Creed has three multi-platinum albums to its name – 1996′s My Own Prison, 1999′s Human Clay and 2001′s Weathered – which sold a total of more than 26 million in the U.S. alone. 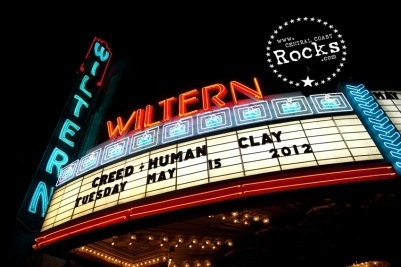 Human Clay and Weathered debuted at #1 on the Billboard Top 200.After the original line-up reunited after a five-year split, the band entered the studio to record Full Circle, which was released in 2009. 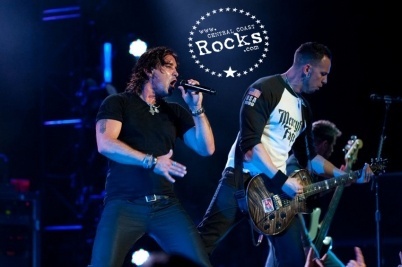 The album’s first single, “Overcome,” spotlights Creed’s “remarkable transformation and welcome comeback onto the rock scene.” Creed, featuring the talents of Scott Stapp (lead vocals), Mark Tremonti (guitars, backing vocals), Scott Phillips (drums, percussion, keyboards) and Brian Marshall (bass), is currently on tour in the U.S. For more information and music samples, visit www.Creed.com. "I'm pleading as you're leaving/I'm begging you to stay/I'm not the man I used to be/I've changed." 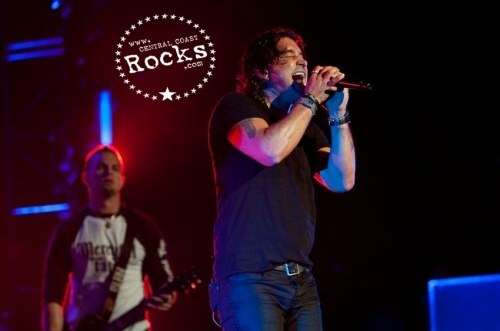 "Away in Silence"
Five years ago, Wind-up Records recording artist Creed disbanded in what turned into an acrimonious split that left lead singer Scott Stapp and the rest of the band—guitarist Mark Tremonti, drummer Scott Phillips and bassist Brian Marshall—on opposite sides, each pursuing separate careers, with Stapp as a solo performer, the other three forming Alter Bridge. After three, multi-platinum albums in 1996's My Own Prison (6 million), 1999's Human Clay (11 million) and 2001's Weathered (6 million), the last two debuting at 1 on the Billboard Top 200, selling a total of more than 26 million in the U.S. alone, with hits like "My Own Prison," "Torn," "What's This Life For," "One," "Higher," "With Arms Wide Open," "My Sacrifice" and "One Last Breath," Creed had hit a roadblock, both professional, and even more, personal. 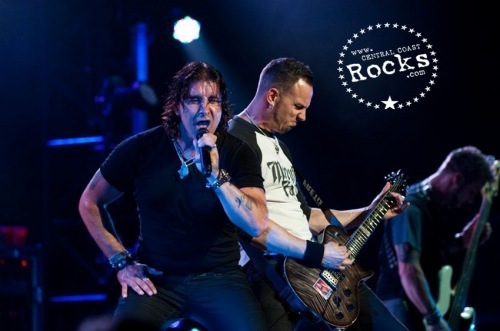 A meeting at an Orlando hotel, where Stapp and Tremonti exchanged pictures of their families, resulted in a reconciliation and a decision for Creed to tour with its original line-up. Not wanting the shows to spotlight just their past "greatest hits," the reunited band entered the studio with noted producer Howard Benson (My Chemical Romance, Daughtry, Flyleaf, Motorhead, Papa Roach), and the resulting album was aptly dubbed Full Circle, indicating Creed's long journey to the present, or as Stapp and Tremonti both put it, "a second chance to make a first impression with each other and our fans." 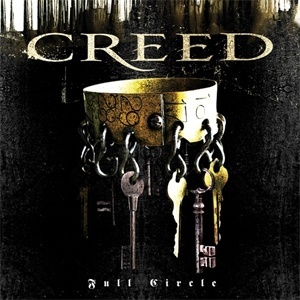 Indeed, Full Circle represents the band at its best, with the first single, "Overcome," spotlighting Creed's remarkable transformation and welcome comeback onto the rock scene. 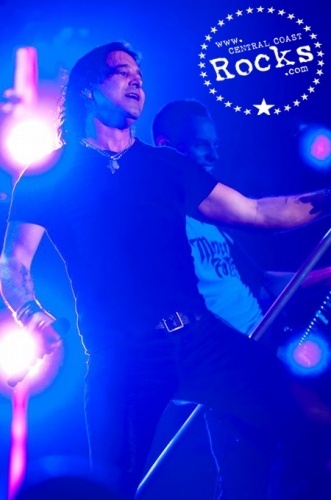 "Everything we are and used to be/Is buried and gone," claims Stapp. "I'm entitled to overcome." 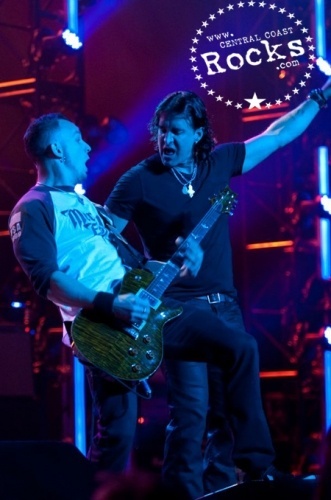 "When we split, nobody thought we would ever get back together again," acknowledges band co-founder Tremonti, who first befriended Stapp while classmates at the same Orlando high school before attending Florida State together. "But five-six years go by, and things change. We realized what we had built was more important than any of our individual quirks. Scott is definitely a more humble guy now. He has respect for everyone around him, but we're all more mature, grown men with families of our own. We're all playing nice." 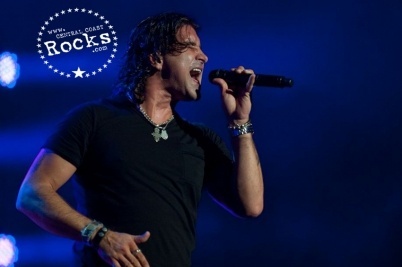 Throughout the album, Stapp confronts his well-publicized demons, which included depression-fueled bouts with alcohol and drugs, which threatened to tear apart his relationship with his wife and family as well as his bandmates. In "Rain," he looks for the cleansing showers to wash away what he calls "all that garbage." "In order for us to write and create as truthfully and honestly as we did in the past, we needed that bond, that trust, to exist between us again," says Scott. 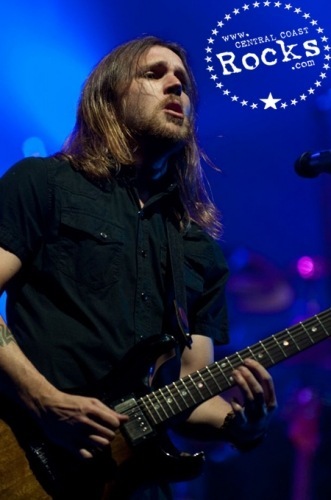 "The sincerity of these songs reflects the rebuilding of the friendship." 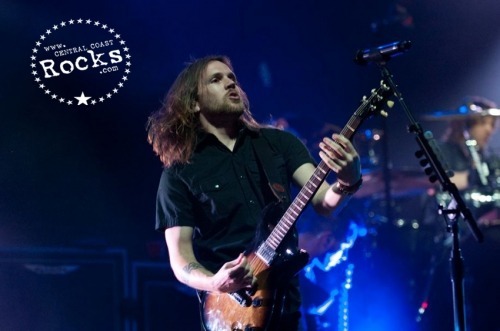 They may be renewed, but the band's brand of melodic rock, with its anthem-like choruses and wide-screen canvas is both harks back to their prime and points the direction into the future. "It's funny how times can change," sings Stapp. "Rearranging distance makes/The pain fades away." "At our peak, I just think people got tired of us. 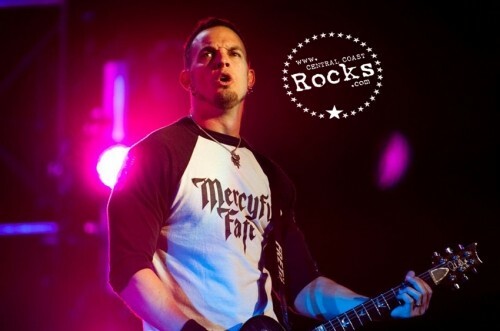 We were overexposed," says Tremonti of the band's five-year absence. "It was a good time for us to take some time off." 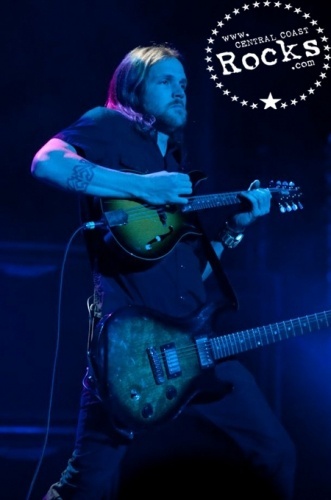 With a tour on tap after starting the album, Creed knew they had to seize the opportunity and work as hard as they ever had. 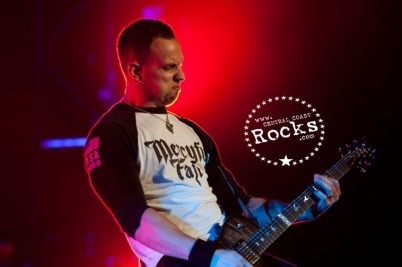 "Things went much quicker in the studio this time," says Tremonti. "It was definitely a cooperative experience. We were all open-minded going in. There was a great deal of meeting of the minds, which made the final recording as strong as it is." 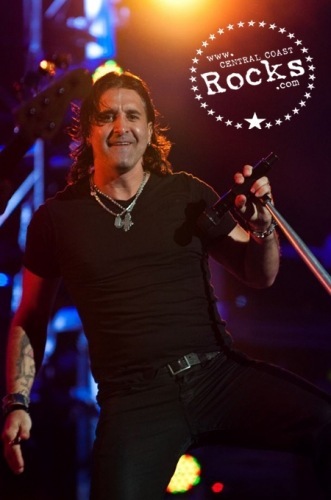 "This is a brand-new Creed," explains Stapp. "We kind of lost our individual identities along the way. We've had a chance to establish our lives outside the band, growing as men in terms of life's responsibilities, taking care of our wives and children. We all have a renewed sense of self-confidence and security in ourselves." 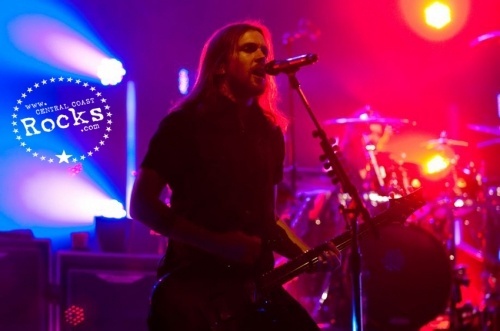 With Full Circle now complete, Creed is ready to move on to the next phase, which involves keeping their individual outside projects, such as Alter Bridge, going in between gigs with the band. 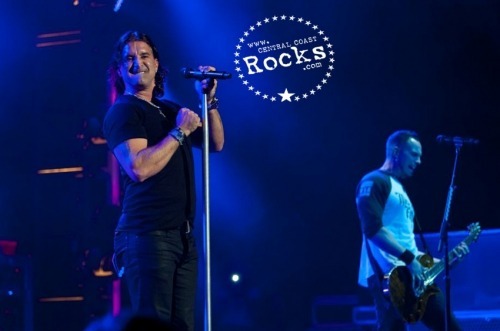 "I would hope Creed is still our 1 priority," says Stapp. "We won't let anything get in the way of that. The group comes first with me." "Close the door/And don't look back" "Full Circle"
"We're just as passionate about the music we make as ever, maybe more," concludes Tremonti. "Going forward, we want to continue to make better and better records. We certainly haven't gotten comfortable with where we're at. 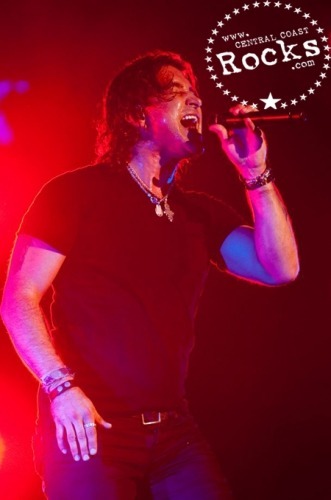 We're all driven, especially now, to make the best music we've ever done." On Full Circle, Creed have done just that. And this time, it appears they're here to stay.